I just made my lesson plan book for next year. If you'd like, view it here. Enjoy! 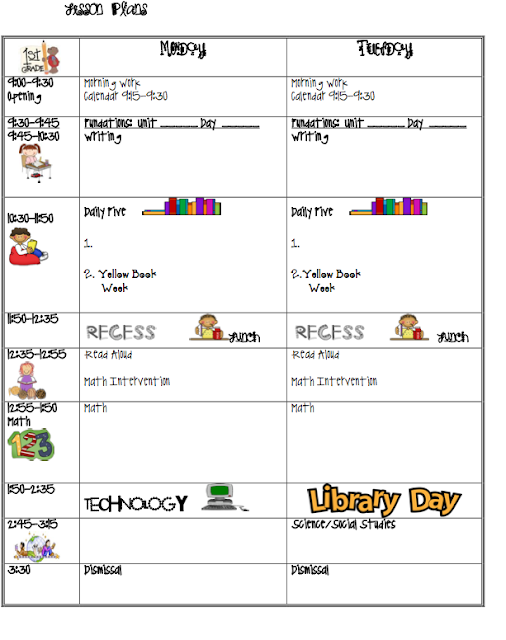 Please let me know if you need help designing your personal lesson plans! I'd love to help! 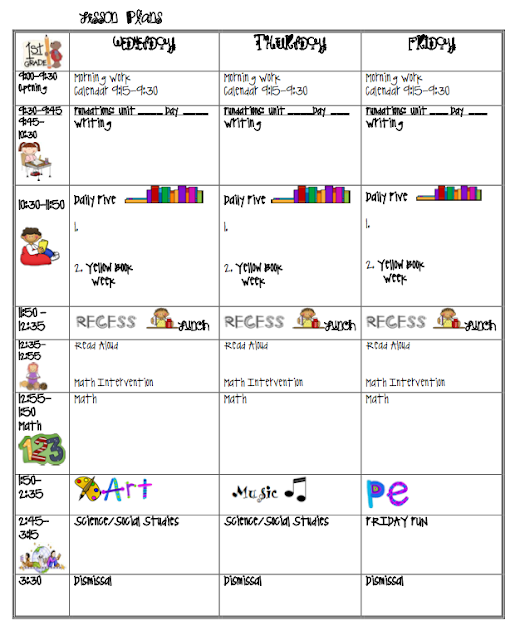 I could use some help with a schedule for next year...We're throwing out the basal for reading next year but using the phonics/spelling/grammar from the basal. (Don't want to change too much in one year!) Any feedback would be most appreciated! I would like some help with my lesson plan template. I downloaded yours but instead of 2 pages, it came with both pages on top of each other. I really like your template if I could get it to work. I have a Mac. Could this be the problem? Any help would be greatly appreciated. I can't access your template. Do you have another link? I changed the link so grab it above! I also cannot open your template! The link is fixed! Sorry about that!